(Food&Wine) – Chocolate may make for a decadent dessert, but the life of a cocoa farmer is anything but sweet. According to the Fairtrade Foundation, most farmers have never even tasted finished chocolate products. Part of the reason is that most farmers in West Africa – where the majority of the world’s cocoa is grown – live in poverty. Fairtrade International’s mission is to help make sure farmers get their fair share of income for these sorts of crops, and today, the group has announced it will be increasing the Fairtrade Minimum Price for cocoa to help improve the incomes of the farmers behind our beloved chocolate. 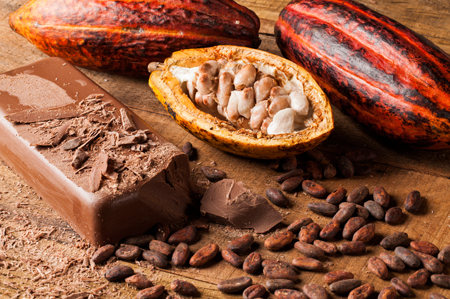 Fairtrade International said it will be raising the minimum price for a metric ton of conventional cocoa to $2,400 – up 20 percent from the previous minimum of $2,000 – effective October 2019. The foundation also announced it will be altering the pricing scheme on organic cocoa and increasing its additional Fairtrade Premium payments which go into a communal fund for workers and farmers. Of course, you have to make sure the chocolate you buy has Fairtrade Certification if you want your purchase to help the Fairtrade system, but the fact that the foundation has decided that the price of cocoa should be higher may give you an additional incentive to look out for the Fairtrade Mark.